Binary Scam Alerts » Scam Reviews,Tradefusion » Trade Fusion and Timothy Marcus is a Not Just Another Scam – Warning! Binary Scam Alerts is putting out a severe scam notice on Trade Fusion (AKA the Trade Fusion App) and Timothy Marcus. It has come to our attention that this devilish scheme has defrauded an alarmingly high number of innocent day traders while employing a variety of deceptive marketing tools. It seems impersonating corporate CNBC officials is the preferred method of operation and how these cheaters deceive and victimize unsuspecting customers. The executive producer of CNBC Futures is Maxwell Meyers (see proof above), and I’m sure he would like to have some words with Timothy Marcus. In fact, I’m sure CNBC does not take too lightly to plagiarism and impersonating key corporate officials. I would not be surprised one bit if the owners of this horrific scam were slapped with a law suite and sent to jail for a long time. Legit Auto Trader or Scam Software? I’m sure you can guess the right answer at this point, and you would not have to be a rocket scientist to figure this one out. 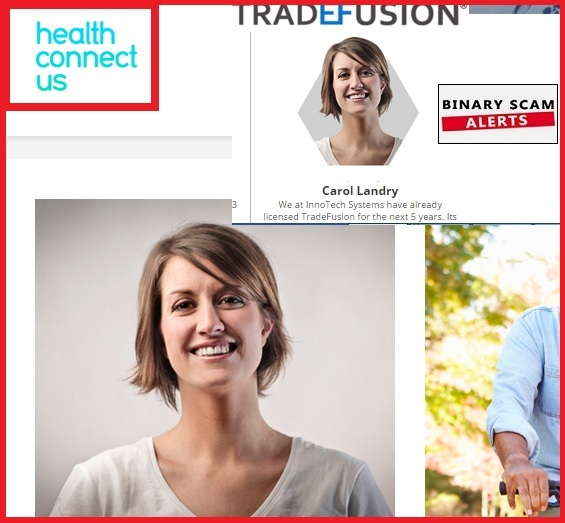 The Famous Carol Landry is prominently displayed at health connect US selling medical equipment, and I can pretty much promise you Eduardo Saverin doesn’t need this stupid app since he has already made his money a long time ago through his famous Facebook deal. This attests to the classic scam methods of “showing you the money”, but in reality nothing could be further from the truth. This bank account is a shameless forgery much the same way Timothy Marcus the actor is an impostor and a fake. Tradefusion is a particularly disturbing scam since it tries to distort reality in a very fraudulent and deceptive way. Impersonating, false advertising, cheating, lies, and severe coercion and manipulation of the truth is so blatant and inconsiderate, that it puts this scam into a totally different category. Similar scams include the recent Zulander Hack, Gold Trade Microsystem, Stark Trading, Phoenix Trading App, Einstein Profits, Citidel LTD, Centument APP, Insured Profits, and Channel Ranger. Whats out There that Works? There are very few things that do work and one of them is the binary profit method. 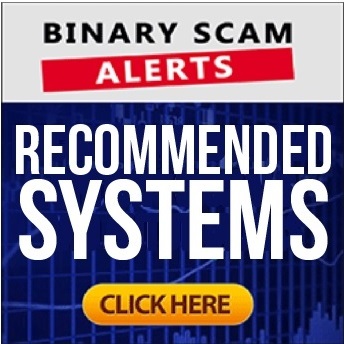 Binary Scam Alerts completely endorses this software and stands behind it. If you are looking for a legit auto-trader you will want to try out Virtnext. There is a massive growth of fake apps, automated trading bots, and signal solutions that are flooding the market. Additionally, there is a lot of hype around certain products and networks of savvy marketers that are constantly pushing and promoting fake systems in order to get hefty commissions. Subscribe to our YouTube Channel and register for our Facebook group to get updated about these scams and educate yourself accordingly. The Trade Fusion Trading APP (AKA Auto-trader and software) and Timothy Marcus is a malicious scam and a deliberate and intentional attempt to mislead the public. If you have been contacted by these criminals and solicited in any way to engage in any form of illegal trading activity, do not try your luck as you will lose your money and your personal information will be compromised. At best it will be relayed to third party marketers who will try to sell you foot repair lotions or online pharmaceuticals.